Mom confession #15: Sometimes when I’m walking through Macy’s with my sons, I push them into the bra racks and giggle hysterically while they freak out, scrambling to free themselves from women’s underwear. 🙂 I used to do fun stuff like that to my nephews. 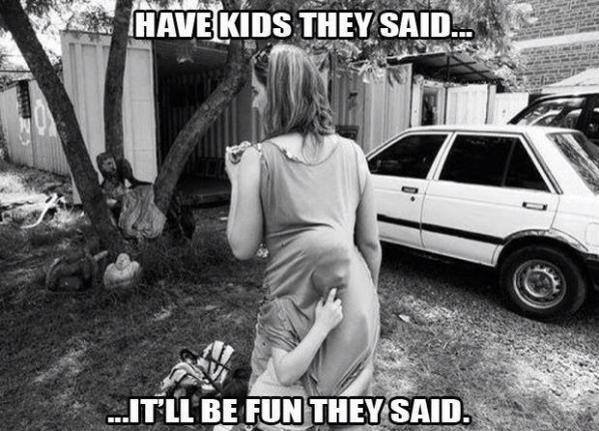 Haha, that’s excellent mothering! Teach them how to take a joke and laugh at themselves! I love how you’re making me sound like a reasonable, responsible person, and not like someone with just a disturbed sense of humor. One day, they’ll enjoy ladies’ underthings quite a bit! They may as well get used to it now. payback for all the $hit he puts me through: I drag bubba through the “feminine hygiene” aisle and then stop and study the packages. he. hates. me.